A welcomed new addition to our range of antique French dining furniture comes this exquisite dining table set. 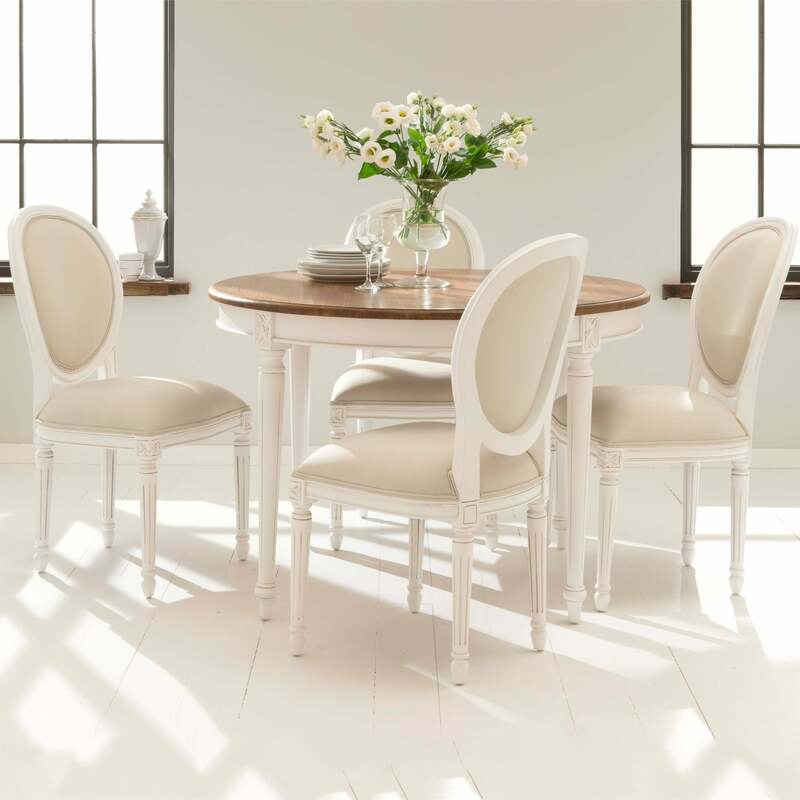 Featuring 4 fabric detailed chairs and a contrasting mindi wood table top, this dining set will astound. Handcrafted and carefully built by expert using only the finest materials, this dining table set will become an instant favourite in your home lasting generations.